This week: how smart streetlights are making Chattanooga safer, the risks of selling substandard LEDs, and the CRI to beat. LED Engin has introduced Gallery White, which it says produces the highest-quality light in the smallest emitter package (data sheet). 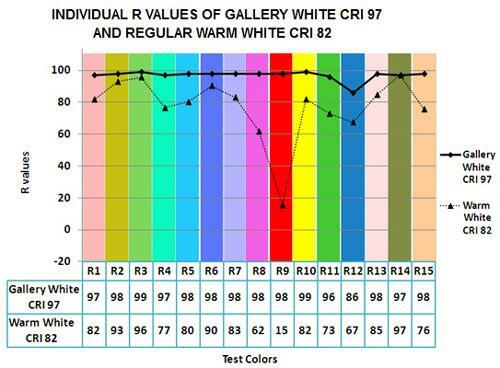 "Not only does Gallery White achieve a CRI of 97, the emitter also delivers outstanding R1 to R15 values between 96 and 99 and R12 typically of 86," the company's description declares. The emitter is intended for use in applications demanding the very highest color fidelity, such as museums, high-end retail, and surgical operating rooms. You could almost see this coming. 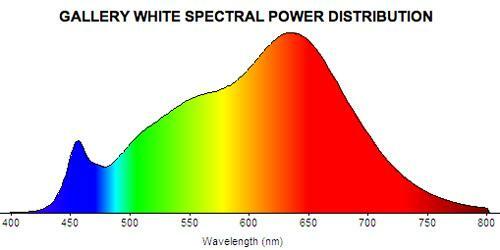 While the price of LEDs remains high, and while the devices are in high demand. they are going to present an attractive target to thieves. It looks like the Chilean heist was organized and planned with more care than a common criminal could muster. The city of Chattanooga, Tenn., has installed a county-wide smart grid and system of fiber optic cabling. The municipal power company there was the first in the country to offer gigabit Internet service to any home or business within its 600-square-mile service area in 2010. When the city put out a request for bids on lighting for crime-infested downtown Coolidge Park, local company Global Green Lighting responded with a bid to use the city's unique infrastructure to deliver smart lighting. We're talking brilliant lighting. The lights can be controlled individually or in groups from any police car. Crime has gone down dramatically in the park, and now GGL is gearing up to replicate the smart lighting on 27,000 poles city-wide. Smart lighting has shown why "The lamp pole could suddenly become a vastly more valuable strip of vertical real estate," as The Atlantic Cities puts it. Osram is pointing out that in Europe, in the four years that incandescent light bulbs have been phasing out, the EU has pulled from market shelves more than 70 substandard or illegal LED-based products. The lighting giant's message (and motive) is clear: Trust reputable brands for LED lighting. I found this diagram fascinating. It shows the subtle difference between the official "CE" (Conformité Européenne) mark affixed to tested and conforming consumer products, and the "China Export" mark that appeared on some of the banned products.